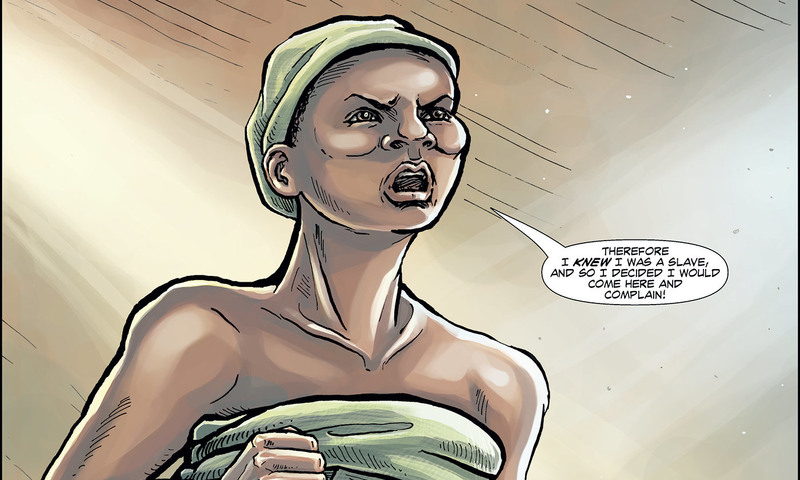 Panel from Abina and the Important Men. Art: Liz Clarke. Script: Trevor Getz. Trevor R. Getz is the director of the Initiative for Public Humanities at San Francisco State University. The author of Cosmopolitan Africa, 1700-1875, his latest book, A Primer for Teaching African History, is forthcoming.